Morpheus and AccuTite are here! The latest advancements in skin tightening and targeted fat reduction. Introductory special 40% off through August. 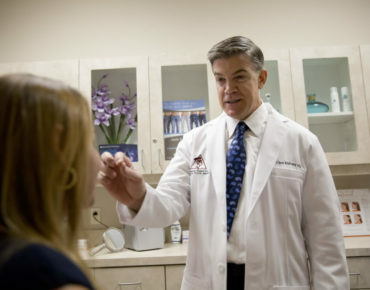 Dr. Maloney is a Harvard trained, board certified plastic surgeon who returned to his home town of Tucson, AZ to open Maloney Plastic Surgery in 2002. Dr. Maloney completed Medical School at Columbia before undertaking his general surgery and burn fellowship at Vanderbilt. While at Vanderbilt, he also attended The Owen Graduate School of Management, obtaining his Master’s in Business Administration. Dr. Maloney did his formal plastic surgery training in Boston at Harvard in the Combined Plastic Surgery Program. He was Chief Resident for two years at Massachusetts General, Children’s Hospital, Brigham and Women’s Hospital and Beth Israel Hospital. In 2002 Dr. Maloney received clinical appointment in Plastic Surgery, Neurosurgery, Anatomy and Cell Biology at the University of Arizona. He is a member of the American Society for Aesthetic Plastic Surgery and a member of the American Society of Plastic Surgeons. He has been voted into the Best Doctors in America® by his peers every year since 2005 and has been awarded the Castle Connolly Top Doctor award multiple times. Dr. Maloney has won the Arizona Daily Star’s Reader’s Choice Award for the past 4 consecutive years. He participates in the Maintenance of Certification (MOC) program with the American Board of Plastic Surgery which reviews surgical experience and safety, requires ongoing written testing, competency exams and continuing medical education. In his spare time Dr. Maloney spends time with his wife and three boys. He can usually be found on the golf course, coaching lacrosse or participating in events with the Conquistadors and the Centurions, both charitable organizations in the Tucson area.